Looking to get a little retail therapy this weekend? Why not drop by Countryside Plaza and explore the big box stores and hidden independent shops that make finding that perfect gift — or treat for yourself — an adventure in itself. Used books for half the price of new? Sign us up! Half Price Books is a chain, but because every shop buys directly from the public, each inventory is different and reflects the tastes of the community. The shop is filled with books, music, games, toys, and much more — well worth the drive in from Countryside. Have an exuberant little with a love of learning? You’ll find something fun, and educational at Learning Express Toys. Browse the shop by interest, subject, or age and find the perfect treasure for the little Einstein in your life. Looking to spruce up your Chicago area home for less? Check out the deals and designs at Value City Furniture. They offer national brands, designer styles, and a unique blend of materials that will let you create an inspired oasis of your own. If saving money on DVDs, gaming consoles, laptops, games, streaming devices, and more sounds good to you, then you’ll love the variety at Disc Replay. They offer a wide selection of high-quality pre-owned electronics so that you can enjoy a little connected downtime for less. Sure, you can find party supplies near LaGrange, but can you find decorations, favors, cards, balloons, and treats for less? We don’t think so! The inventory is constantly changing, and you never know what you’ll find. If you enjoy throwing parties for your friends, it’s worth it to stop by Factory Card Outlet. All the fun, kitschy decorations your heart desires, plus plenty of practical items for the home, bath, and gift giving — all for under $5! Explore the ever-changing inventory for deals on electronics, food, holiday décor, and more, and see what gems you can uncover. 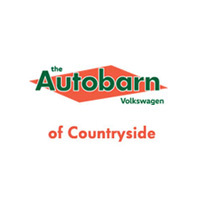 Get More Recommendations from The Autobarn Volkswagen of Countryside! Whether you’re searching for the best shops near Naperville or you’re craving the best pizza in Chicago, The Autobarn Volkswagen of Countryside is here to help. Explore our site to see what new city pages we’ve recently added and, if you decide you’d like to check out a Volkswagen, contact us and let us help with that, too.